Discussion in 'Home Improvement, DIY and Repair' started by Gail-Steman, Nov 8, 2018. We have a Mira Sport shower that came with a small head and the last 2yrs I've had two larger silver heads but we suffer with hard water here and it's a nightmare for clogging up and on the taps i'm for ever cleaning them. Well I've purchased a smaller shower head but in chrome by Triton and it says to keep it clean with soapy water is this enough or is there better stuff you can use. Caution when cleaning glass shower doors! 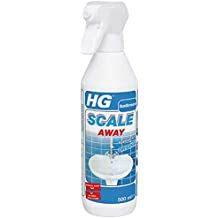 We don't have hard water here in Scotland but any off the shelf lime scale remover should do the trick Gail. 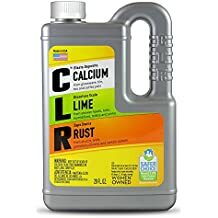 CLR is great for that and many other things ! Eileen your lucky not having it, it's a total nightmare as soon as I clear the taps with Dettol multi purpose it's back again..hubby has changed the taps in the kitchen and bathroom twice in 10yrs. Thanks mart for the info..i found it on Amazon but is the spray bottle the same please.